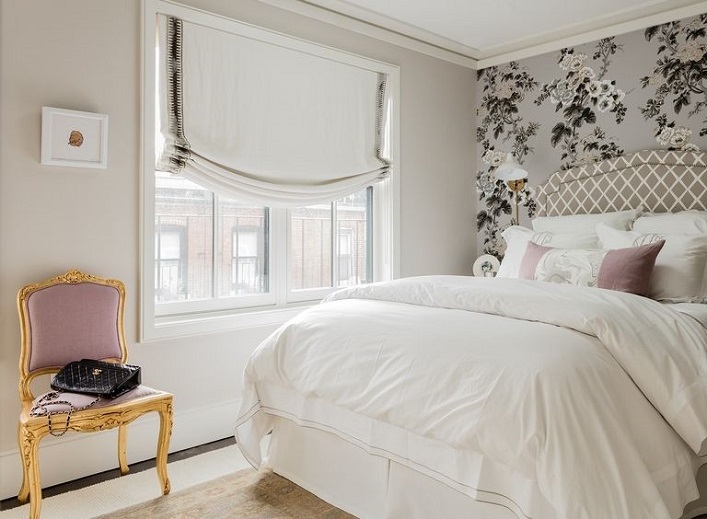 Mix and Chic: Inside a bachelorette's chic and feminine Boston condo! Inside a bachelorette's chic and feminine Boston condo! 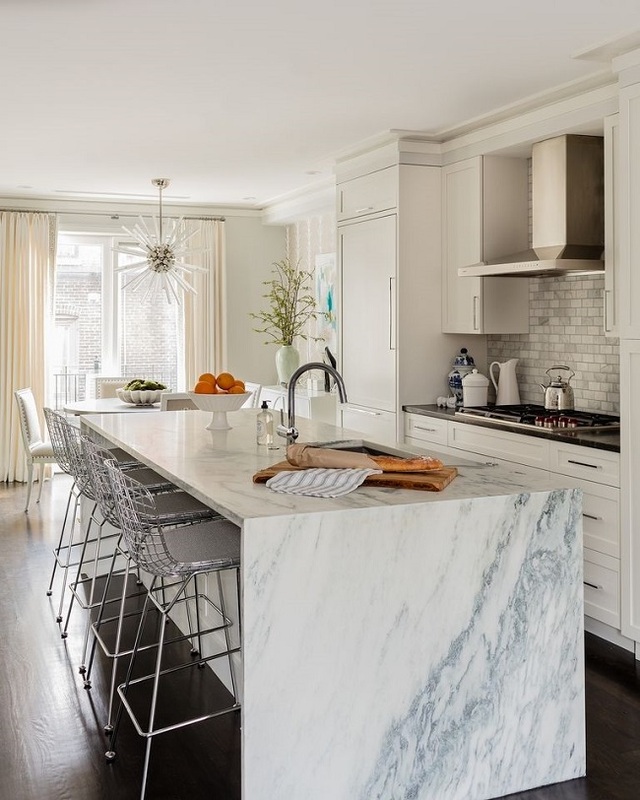 This beautiful Boston condo belongs to a busy, jet-setting business exec. Because of her hectic schedule, she wanted a soothing and relaxing place to come home to. 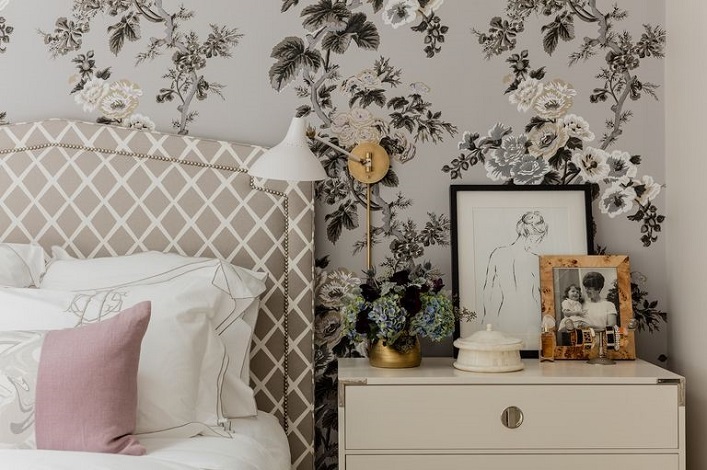 With a feminine decor in mind, she enlisted help from designer Erin Gates to transform her abode. Let's check out the results of this fabulous makeover, shall we? Such a gorgeous condo! A mix of serene colors, soft textures, traditional and modern furnishings results in a tranquil, feminine and chic abode. Pretty wallpapers, unexpected artwork and stylish lighting add visual interest and personality to the design. I truly enjoy this stunning tour, what about you? Thoughts? Gorgeous! I would love to live there. The blush color of the second bedroom is so beautiful. Thank you for sharing with us. Charming and of so feminine! The perfect place to come home to.